I thought I’d change things up a little bit and talk about something other than the Ontario Autism Program. Specifically, what I call the “Exodus from Toronto”, which I believe will be the #1 political issue for the province over the next 20 years. It’s a ticking time-bomb, yet it largely goes unnoticed. Net International — Difference between immigration and emigration. This also considers temporary residents (such as students). 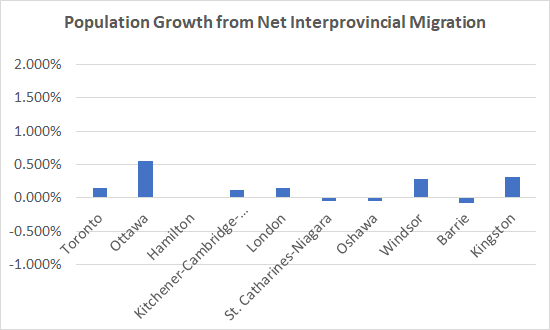 Net Interprovincial — Difference between those who moved to the CMA from outside Ontario and those who moved from the CMA to another province. 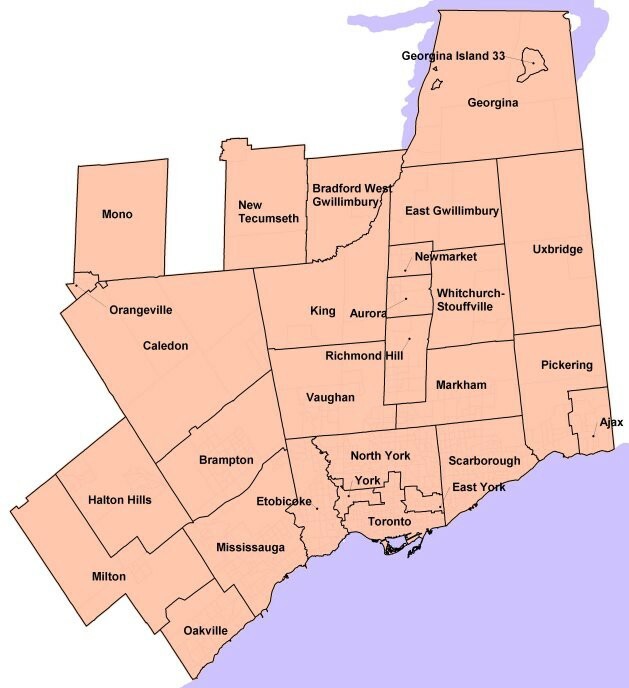 Net Intraprovincial —Difference between those who moved to the CMA from another part of Ontario and those who moved from the CMA to elsewhere in the province. 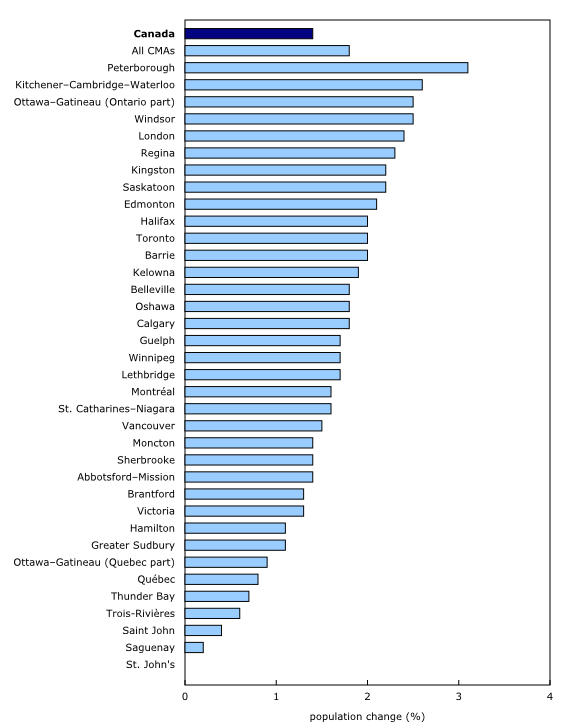 Keeping in mind that the overall net growth of Toronto CMA in 2017–18 was 2.0% and Kitchener–Cambridge–Waterloo was 2.6%, here’s how the data looks for all Ontario CMAs with populations over 200,000. The gap between births and deaths is still a significant source of population growth, particularly in larger CMAs like Toronto and Ottawa. 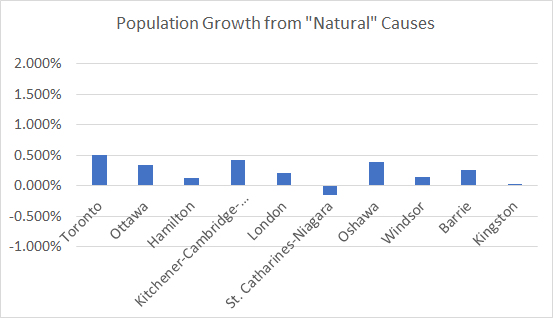 In much of the province, however, this growth rate is negative, as in St. Catharines-Niagara. It’s also negative in Sudbury, Peterborough, Thunder Bay, Belleville CMAs, and Chatham-Kent and Sarnia CAs, just to name a few, due to Canada’s aging population. As is typical around the world, international migrants tend to be attracted to big cities. That said, I was surprised at how small the gap was between Toronto and CMAs in Southwestern Ontario (K-C-W, London and Windsor). In prior years, the gap has been larger. There were more than a few questions on Twitter yesterday about what was causing Windsor’s population increase. It looks to be largely driven by international flows, specifically “net non-permanent residents”. An increase in students or temporary foreign workers, perhaps? I’d have to do some digging to figure out why. Over 100% of Toronto CMAs net population growth is due to net international migration. In other words, the net effect of all other factors is population decline. The only other CMAs in Ontario where this is true is Sudbury and Thunder Bay. Outside of the Ontario portion of Ottawa CMA (people moving from Quebec, perhaps? I need to do some digging on this), this is not a major driver of population growth. During the oil boom years, these figures were large and negative for Windsor and London, as there was significant migration to Fort McMurray. I suspect Windsor’s relatively strong results here are due to returning workers. The same might hold true for Kingston as well (or perhaps Queen’s and RMC are taking more students from other provinces). Ouch. There is a mass exodus of people out of Toronto CMA. Not surprisingly, many of them are winding up in adjacent CMAs like Barrie and Oshawa. But we’re seeing the population flows as far away as London. We saw this first hand when we sold our house in London back in 2017 — pretty much everyone who inquired about it was currently living in Toronto. The population migration doesn’t seem to be stretching further Southwest than that — we’re not seeing big increases in Windsor or Chatham-Kent. Who are the people leaving Toronto CMA? One of the largest cohorts of net intraprovincial “leavers” is people in their late 50s. Interestingly, we don’t see much movement past the age of 70. If you don’t leave Toronto soon after you retire, you’re probably there for good. The two biggest cohorts of leavers aren’t retired people at all — they’re people in their early 30s, along with kids under the age of 5. Reason is blindingly obvious: Families are getting priced out of Toronto. Between housing and daycare costs, young families simply can’t make a go of it in Toronto. Around the world, jobs are increasingly clustering in big cities, due to agglomeration effects. We are increasingly seeing a disconnect between where the jobs are, and where people are moving to. It used to be that people would move to where the jobs are. In the United States, that process started slowing down around 1990. By 2010, that process ground to a halt. I believe we’re seeing the same thing in Ontario, if not worse — people are actively moving away from regions of employment growth. If this continues, expect to see rising populist backlash, as families feel they are forced to choose between living in a place they can’t afford and a place where wages are stagnant. That they simply can’t get ahead, no matter what they do. We might think things are bad today, but twenty years from now we may look upon this time as a “golden era”. Fortunately, it doesn’t have to be that way. But we need policies that will accelerate the building of housing in places where jobs are growing, and we need those policies yesterday.